Simple2Web builds websites by listening to your needs and desires while making the technical aspects of web site design easy to understand. In its simplest form, a website is a way to tell your story online using words and pictures. Your website can act as your online business card while collecting leads and it can be your gateway to connecting with worldwide customers. 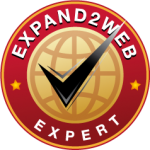 Get started with Simple2Web today! Great for Business, Events and Clubs! You’ll get a site that is well-developed and optimized for search engines so people WILL find you. Our sites are easy to update and simple to use. Feel free to take a look at some of our customer sites. We help customers from all around the Midwest keep their web presence vibrant. We serve customers north of Chisholm, Minnesota, through Shell Lake to Eau Claire, Wisconsin.